I’ve played dozens of different video games in my lifetime and have come to count hundreds of different characters as endearing. But there are also a handful that particularly stand out and whom I count as the most memorable. What follows is my list of the top ten characters who make me smile or laugh whenever they come to mind. 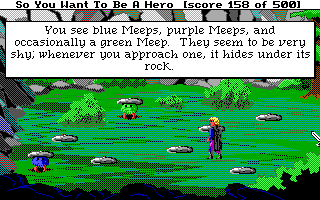 Of the many quirky characters present in the first Quest for Glory game, these furry subterranean creatures are, in my opinion, the funniest. The player needs only to obtain a patch of green fur from them for a potion, but the game designers threw in a red herring on how to get the fur. The player has the option to try and attack them. But any attempt to do so bears a striking resemblance to a poorly-played game of Whack-A-Mole. What I really enjoy about the Red Alert series is it takes place in an alternate history where Hitler was assassinated, the Holocaust never happened, and Soviet Russia became a more dangerous force to be reckoned with. What I love even more is the spunky female commando Tanya Adams (portrayed in the second game’s cinematics by actress Kari Wuhrer) who acts as a frontrunner and one-woman army against Soviet soldiers. She adds a unique energy to the roleplaying strategy game, and her gleeful battle cry of “Yeah, baby!” when she prepares to take out enemy infantry or take down nuclear silos is one of the main reasons I adore this game as much as I do. Cheat codes have been included in video games ever since the early days in the seventies and eighties, and serve as a way to win with minimal effort. But I don’t know of very many games that feature a character who is only generated through use of a cheat code. Pressing enter and typing “SimonSays” in the game, Star Wars: Galactic Battlegrounds will give the player control of a single Ewok called Simon who can decimate any enemy army, soldiers and vehicles alike, all by himself. Call me crazy, but the majority of my time playing this game was spent delightedly watching Simon go to town against Imperial or Rebel forces. Behind every great hero is a wannabe who strives to live up to the hero’s ideals. I’ve seen that formula used in countless stories, but the Mass Effect series puts an interesting spin on it by giving the wannabe delusions of grandeur. Conrad Verner’s antics, ranging from asking for inclusion in an elitist military unit to unwittingly promoting a terrorist organization as the “good” guys, and Shepherd’s reactions to those antics get me chuckling every time. As with many of the characters in the trilogy, his survival at certain points throughout the three games hinges on choices made by the lead protagonist, Commander Shepherd. The sci-fi video game trilogy has tons of interesting characters to interact with, but there is something about lovable loser Conrad that adds an extra special element to the overall story. The basic premise of the Portal games is that you’re playing as a character being used as a proverbial guinea pig in a science facility and made to solve logistical puzzles as you wander from one testing chamber to the next. 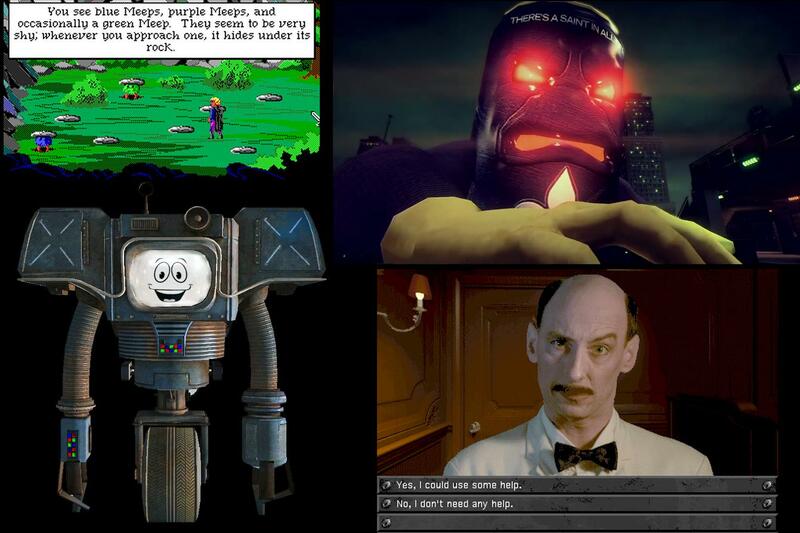 And all the while, an insane artificial intelligence (A.I.) is monitoring and trying to dictate your every move. Through all of the first game and half of the second one, that A.I. is Glados, until another A.I. called Wheatley conspires to take her place as the governing source of the facility. Though Wheatley turns evil once he has ultimate power in his grasp, he still turns the tables on Glados in a very amusing way – by attaching her CPU and voice modulator to a common potato. Potato Glados’ lack of mobility and desire to regain control causes her to team up with the protagonist she previously tried to kill. What I find most hysterical about Portal 2 is that you literally have a root vegetable as an ally for half of the game. I’ve seen many games offer a tutorial to give the player a sense of what buttons to use. But the way the period-piece mystery game, Titanic: Adventure out of Time, presents it is very comical. 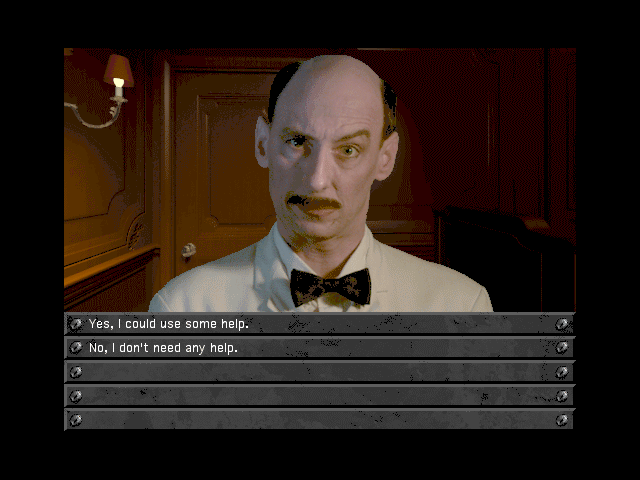 Minutes into the game, your protagonist is greeted by a steward named John Smethells inside a nicely rendered replica of one of the ship’s deluxe rooms. Answering yes to his question on whether you need help finding your way around causes him to break character and start talking about which buttons on the keyboard are needed to move, interact with other characters, or pick up important objects. What further shatters the immersive experience is he also gives you instructions on how to register the game online. The fact that all this info about computers and the Internet comes from a guy dressed like a 1912 ship steward couldn’t be more hysterical. 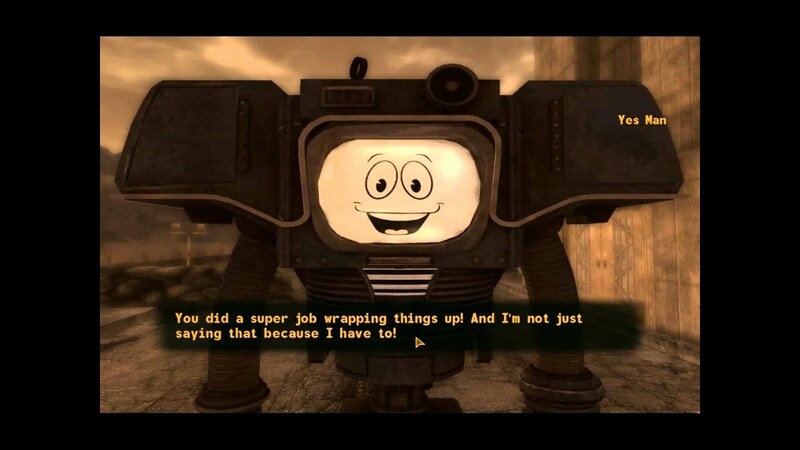 Of the four characters to ally with when it comes to seizing control of the casino strip in Fallout: New Vegas, Yes Man is by far my favorite. Though he is a dangerous robot called a Securitron who has been reprogrammed by the duplicitous casino kingpin Benny to stage a coup, Yes Man’s allegiance is prone to shift to anyone who interacts with him. As Yes Man cheerfully puts it when first met by the main protagonist, “I was programmed to be helpful and answer any questions I was asked. I guess no one bothered to restrict who I answer questions for. That was probably pretty dumb, huh?” The fact that he’s stuck with a permanent smiley face and sounds so cheery even when he says something particularly dark really cracks me up. Much of the plot for Saints Row 4 entails the systematic destruction of a virtual world built to enslave humanity. This task falls into the hands of the leader of a street gang. Step one: the leader must rescue his or her teammates from each one’s individual simulated hell. Of all the virtual “nightmares” encountered, the one built for Pierce Washington takes the cake. This particular simulation kicks off with a battle against human-sized energy drinks – or rather humans dressed up as purple aluminum cans. And just when you think it can’t get any crazier, in comes Paul, a gargantuan soda can that roars and has the ability to shoot laser beams from his eyes… It’s hard to find the words to do this character or battle justice, so here is a YouTube video of that, courtesy of one of my favorite gamers out there, RadBrad. Jeanette, if I ever need information on video games, I know I can ask you. Good job. This is quite an interesting list! I also enjoyed the video link. Jeanette, your article points out to me that there really are active imaginations behind video games. Glad you like the article. And yes, there are a lot of creative games out there.